SC MULTISTORES was designed for store owners and webmasters who manage various PrestaShop stores and who are eager to enhance and optimize their PrestaShop backoffice management with mass-updating and fast navigating features. A SC Multistores license allows you to manage multiple shops belonging to the same owner. And the same goes for Web Agencies: 1 multistore license to manage multiple shops belonging to the SAME merchant. Enough time wasted trying to install a Windows application on your PC! 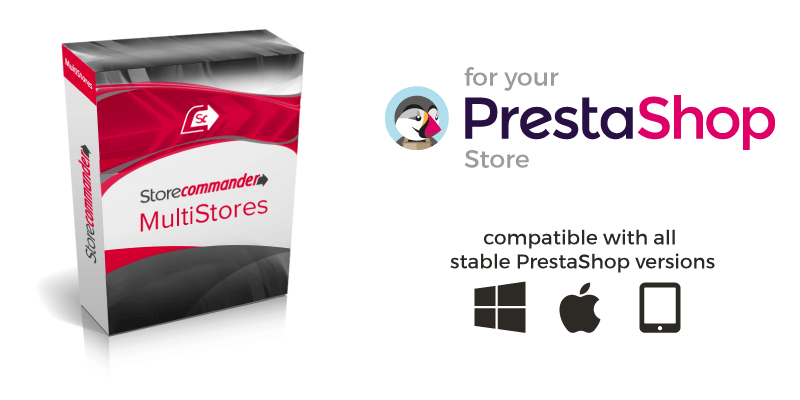 Store Commander installs directly onto your online store in just 5-10 minutes in most cases. All you need is a web browser and you can then rapidly enjoy your new application and manage your catalog in a fast and efficient manner! Please refer to our article for more detailed information.